Elegant apartments and suites with wellness area, for unforgettable holidays at the foot of Seiser Alm pasture – ideal for active vacationers and connoisseurs! 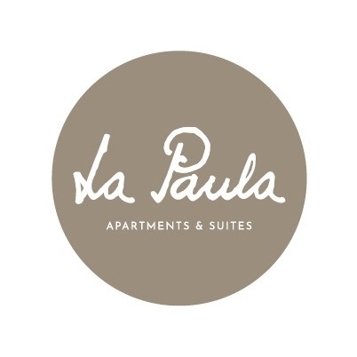 Welcome to Paula Wiesinger Apartments & Suites at the foot of the Seiser Alm! 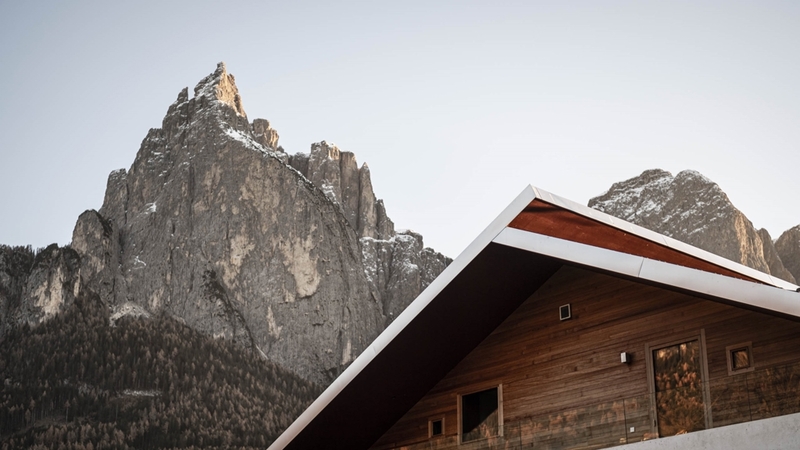 The modern and elegant Paula Wiesinger Apartments & Suites are located in Seis am Schlern, at the foot of the famous Seiser Alm in the heart of the Dolomites. The apartments were built in memory of the Southtyrolean skier and alpinist Paula Wiesinger. The combination of modern equipment and traditional atmosphere makes the apartments an suites an ideal accommodation for unforgettable summer or winter holidays in the Dolomites. All of our apartments are equipped with in a cosy and modern style, as well as with all comfort. They offer a sleeping and living area, a balcony, a bathroom, LCD satellite TV, a parking space in the garage, as well as a kitchen with dishwasher, fridge, coffee machine, kettle, microwave and ceramic glass cooktop. Bed linen, towels and bath towels are available. In the whole house, you have free WIFI access. Moreover, you are offered a spa area with fitness room, a sunny terrace, a breakfast and recreation room, a depot for skis and bikes and a washroom with laundry dryer for free. The Seiser Alm is the highest pasture in Europe and is a paradise for active vacationists and lovers of nature. In summer, you may expect magnificent hikes, climbing parks and mountain bike tracks through the breathtaking landscape of the Dolomites. Only 2 minutes by car from our house, there is a 18-hole golf course with a unique panoramic view. In winter, you are offered well-prepared slopes, cross-country ski runs, winter excursions and much more. Suite with living area and couch, wardrobe, bathroom with shower, toilet and bidet, cosmetic mirror, hairdryer, LCD satellite TV, safe and balcony. Breakfast and daily cleaning included. Apartment with 1 double bed, living area with sofa bed, wardrobe, kitchen, dining table, bathroom with shower, toilet and bidet, cosmetic mirror, hairdryer, LCD satellite TV, safe and balcony. Apartment with 1 bedroom with double bed, spacious living area with sofa bed, wardrobe, kitchen, dining table, bathroom with shower, toilet and bidet, cosmetic mirror, hairdryer, LCD satellite TV, safe and balcony.